Tens of thousands of workers in the city of Pittsburgh are not allowed even a single day off with pay when they or their family fall ill. This means they either go to work sick or lose their jobs when serious illness strikes. This only perpetuates financial hardship and hunger. So this week Just Harvest signed onto an amicus curiae (“friend of the court”) brief that the Women’s Law Project (WLP) is preparing to support Pittsburgh’s paid sick days ordinance. The ordinance would require employers to pay Pittsburgh workers when taking time off to recover from illness or care for a sick family member. The number of sick days an employee receives would depend on the employer’s size. The city passed the ordinance in 2015, but several Pittsburgh restaurants, businesses, and the Pennsylvania Restaurant and Lodging Association immediately stopped it with a lawsuit. The Commonwealth Court upheld that block, but the Pa. Supreme Court has now agreed to hear an appeal of that ruling. WLP will argue in their brief that the ordinance is a critically important public health measure that will prevent the spread of disease and protect workers, particularly those in low-wage employment, from losing their income when they or their family member gets sick. This ordinance is especially important for women, who hold a disproportionate share of low-wage jobs and who carry a disproportionate burden of family caregiving. The date of oral arguments (the next major step after filing the brief) is not yet known. Meanwhile, as a member of the Paid Leave for PA coalition we want to share with you an important state report released yesterday. 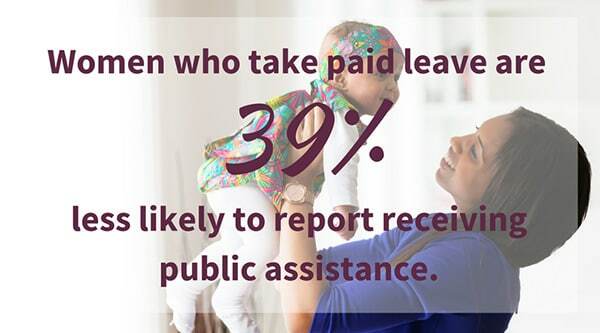 It supports the coalition’s calls to establish a Paid Family and Medical Leave Insurance Fund to allow families paid time off to care for sick relatives or a new child. A state insurance fund would cost workers on average less than $2 per worker/per week. Every other developed nation provides paid family leave. If advocates and their supporters succeed with getting the state legislature to establish this paid leave insurance fund, Pennsylvania would be the seventh state in the U.S. to do so. Want to be part of our work on this issue? Contact Helen Gerhardt, our grassroots organizer.